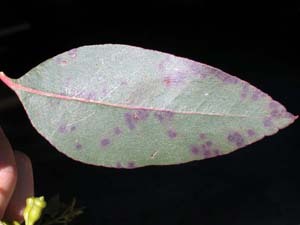 Eucalyptus urnigera (Urn Gum) is an uncommon subalpine species of eucalypt. 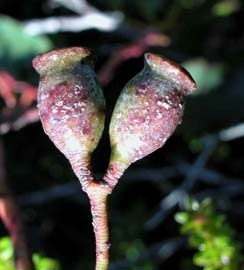 It occurs in south-eastern Tasmania on rocky slopes. 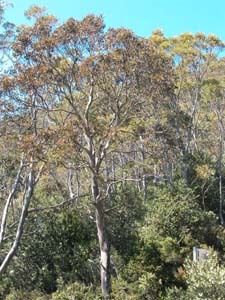 In many ways it resembles E. subcrenulata (in habit and habitat, as well as the thick, dark green adult leaves and yellowish bark). 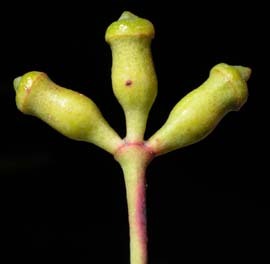 However, the urn-shaped capsules are distinctive. 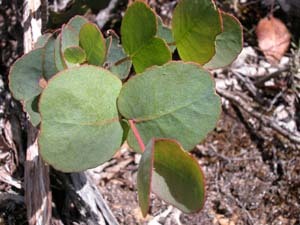 The juvenile leaves of some high altitude forms are glaucous.